Hi everyone!! 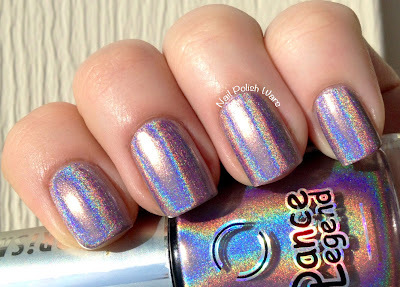 I am sooooo excited to show you a few of the amazing Dance Legend New Prism polishes! 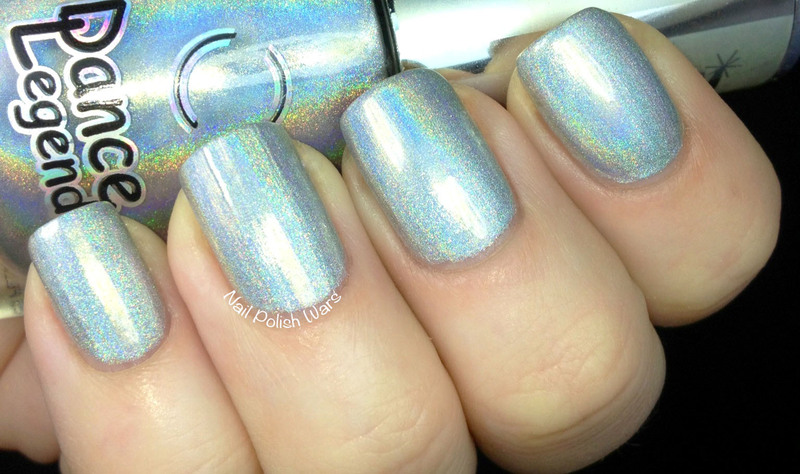 T-1000 is a stunning silver holographic. 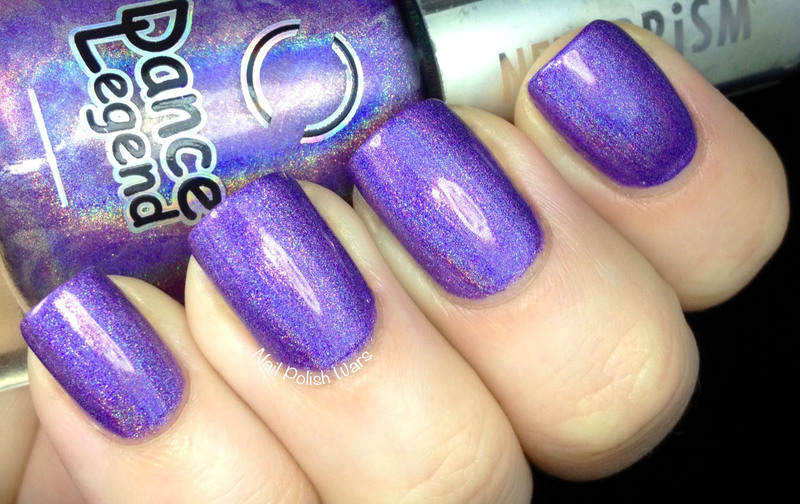 The formula was extremely smooth and very easy to apply. There were no dragging issues that are very common with holos. Shown above and below is two coats of T-1000 indoors. Shown below is two coats of T-1000 outdoors. 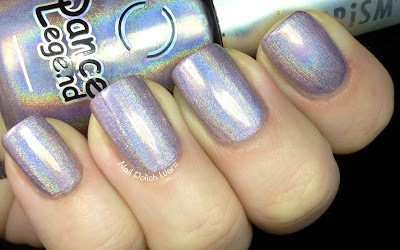 Teleportation is a beautiful soft lilac holographic. The formula was very smooth and easy to apply. Again, no dragging issues whatsoever. Shown above and below are two coats of Teleportation indoors. Shown below is two coats of Teleportation outdoors. Cosmic Rainbow is a gorgeous purple holographic. 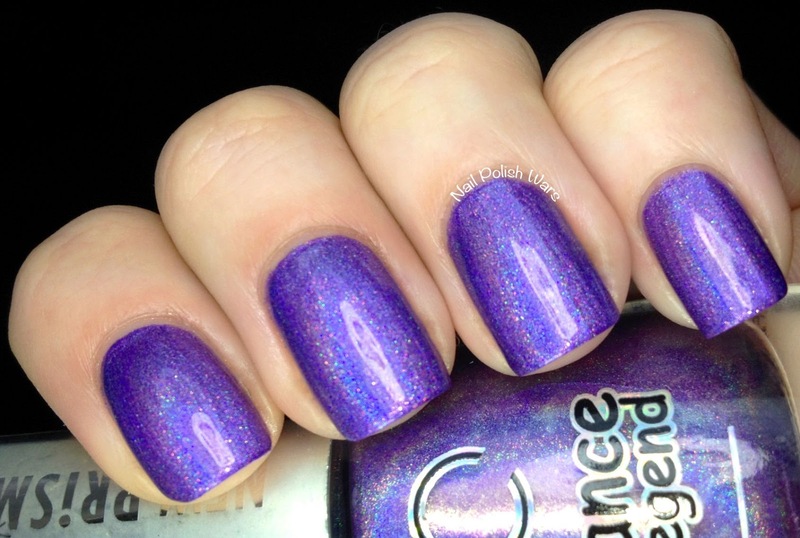 The formula was very smooth and easy to apply. 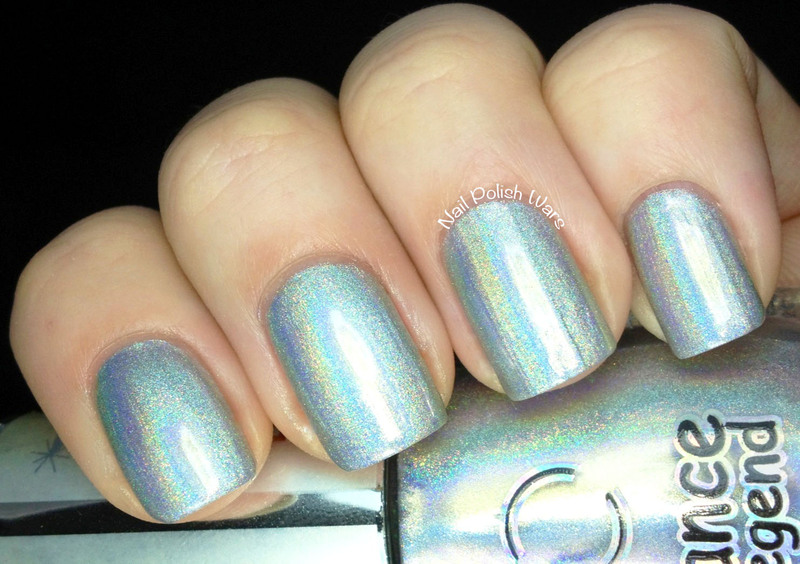 Shown above and below is two coats of Cosmic Rainbow indoors. 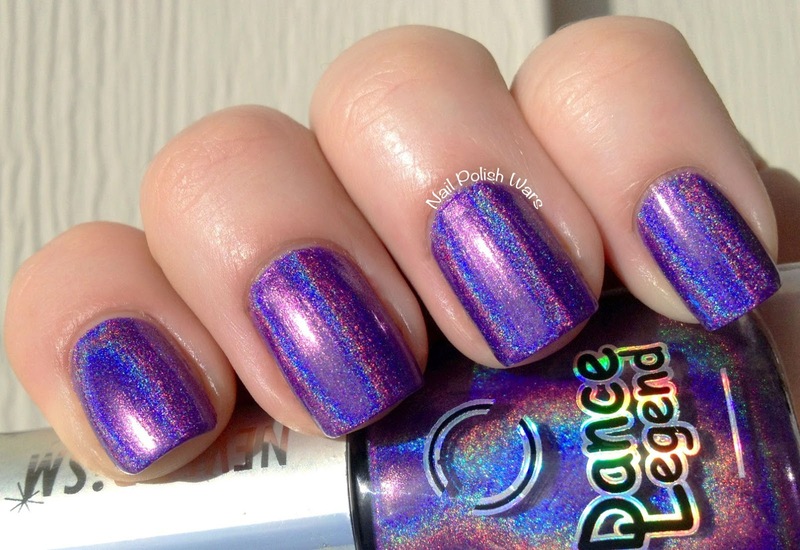 Shown below is two coats of Cosmic Rainbow outdoors. I am absolutely over the moon with these amazing holographics!! The formulas were perfect and applied like a dream, and the holo strength is amazing!! Be sure to check out Dance Legend on Facebook for all their latest collections and updates. 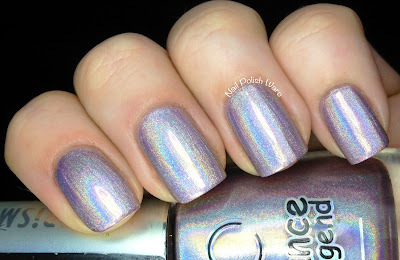 Cosmic Rainbow is stunning :) Beautiful swatches! Whoa, that purple just blew me away!! 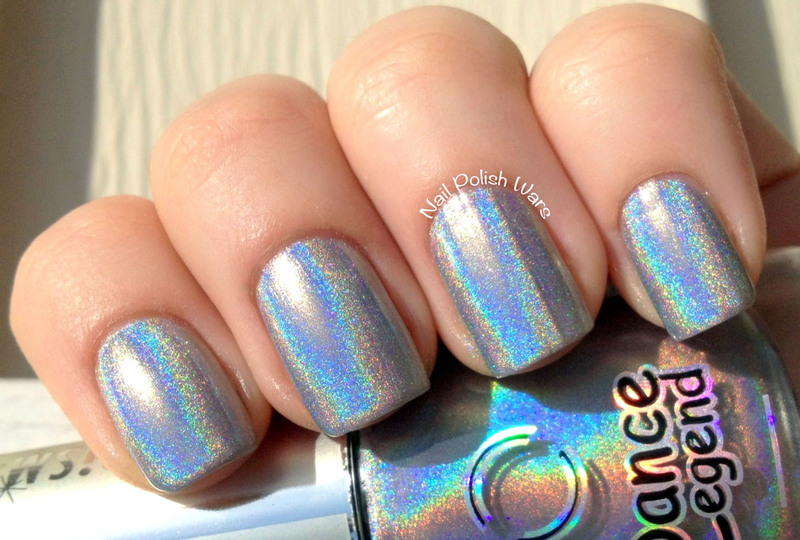 Those are so so pretty! Whoa! These look awesome! 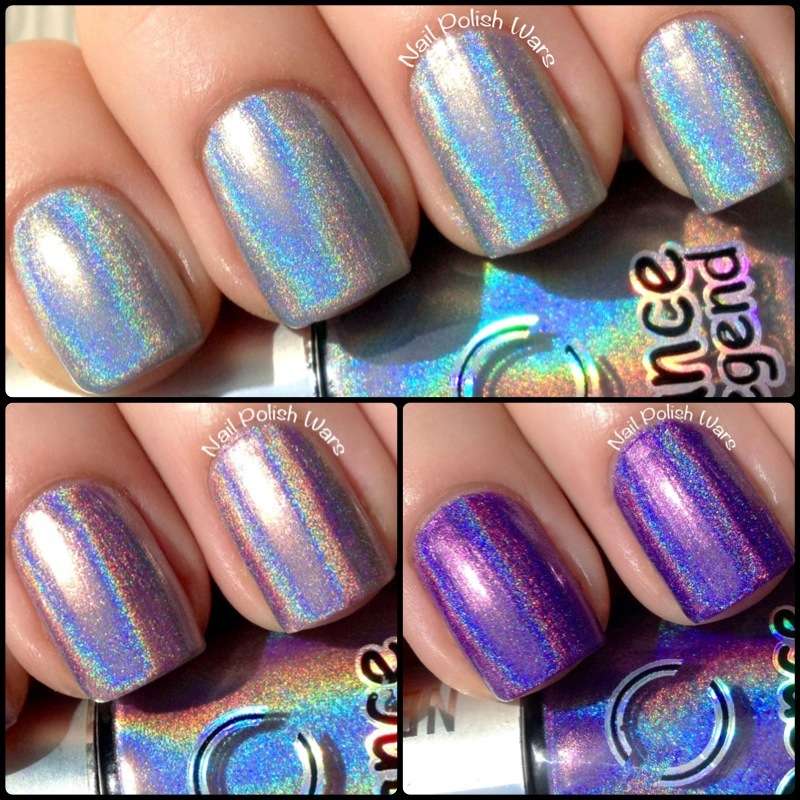 Would you happen to know how they compare to the Color Club Halo Hues? Where do you buy these? I love the T-1000 but I've never seen this brand. hello,where can i buy them ?